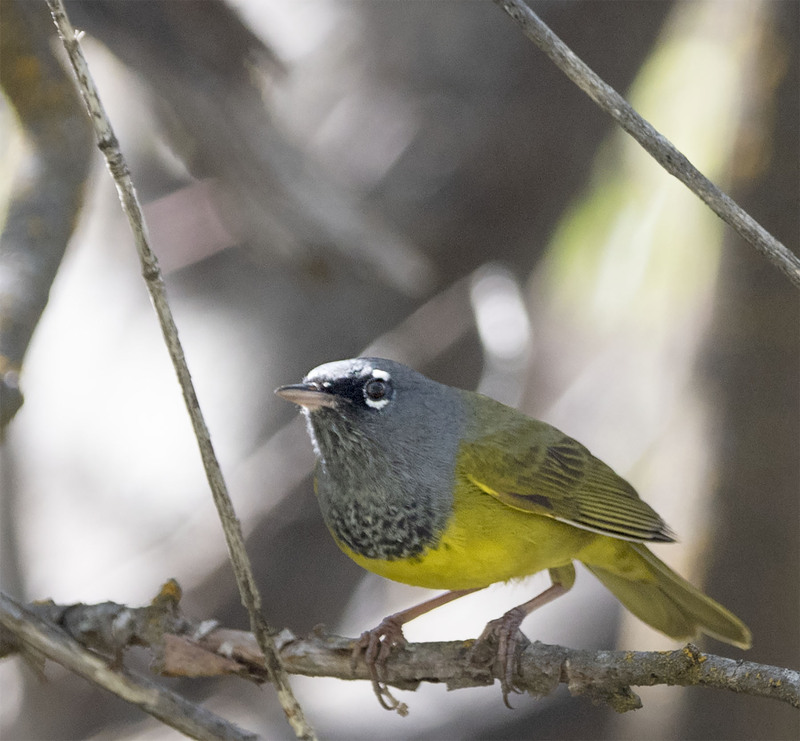 Near the end of a recent hike we came across several MacGillivray’s Warblers flying rapidly back and forth between willow bushes on each side of the trail we were hiking. These birds rarely took a second to sit still and when they did they were perched deep in the willows. 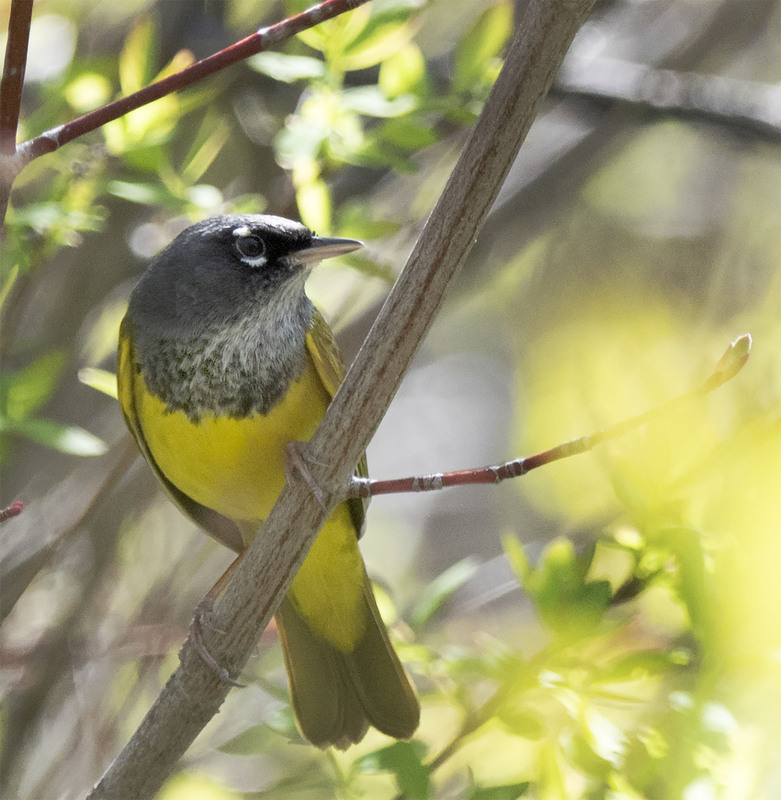 Luckily with a bit of time spent sitting on nearby rocks we were able to get a few photos and a good look at these wonderful little warblers. We have gone back to the same spot hoping to find them again but they must have just been passing by on their spring migration. You got some fantastic pictures of these guys! When we saw them it was the same thing — flitting around endlessly, deep in the willows. Happy to see your patience paid off! Thanks Kit, it was fun to watch these little guys zooming around and even if we did not get any photos it would have been an experience we would have never forgotten. Hope your having a greta weekend. Perfect colour co-ordination is this charming bird. They do sport a fine color combination. What a beautiful bird – great captures despite its ADHD! Thanks Eliza, it was fun to watch and mostly fun trying to get a few photos.